The coming week is characterised by this aspect which will require some patience on our part. The Sun finds it tough to shine with Saturn on its back and we may feel the same. Life can take on a heaviness which can easily get us down if we let it. Venus entering Sagittarius promises something of a lift in a couple of days’ time, but don’t feel too disheartened if this coming week is a tough one. It will pass! When Saturn and the Sun team up in this way we encounter lessons about responsibility. We cannot avoid it in life and no matter how much it may present as a burden which seems to limit our choices and potential, it frequently highlights issues of attitude and character which are within our hands to change. Saturn in Scorpio carries strongly karmic themes and when conjunct the Sun we may have to face the consequences of past choices and behaviours which, whilst making sense to us at the time, in retrospect may not have been the best approach under the prevailing circumstances! Saturn is often depicted as some kind of punishing force and whilst we may experience its effects in this way, to assign a punishing motivation to its actions is misguided. It simply holds us to account and requires that we be the best we can be under the circumstances, neither shirking, side-stepping nor cursing our responsibilities but embracing them as a part of life in the human realm. In this current alignment Saturn reminds us that effort is a powerful aspect of the spiritual path and without it we risk becoming lazy in our commitment to awakening. It’s not your average kind of laziness though, but a more insidious kind which actually feels like work even though it isn’t! This type of ‘spiritual laziness’ arises when we allow ourselves to slip back into old habits of negativity, victim-consciousness, railing against our lot and feeling hard done by. Or it can manifest as a self-satisfied ‘I’m more spiritual than you’ attitude which blinds us to our own lack of consciousness. It takes self-discipline to change and sometimes we just can’t seem to muster enough of it! It’s little wonder really: we live in a world where unconsciousness is king and stepping out of the ‘norm’ to question and challenge the status quo comes at a price, at times a very high one. It is tough to live with the unknown as, bit by bit, we relinquish who we once were in favour of a more vibrant expression of the self within. It’s risky and scary. It takes away our security and plunges us into a world in which there are few guarantees and, sometimes, even fewer allies. We may need to stand alone for a while until we can forge more authentic connections. We may have to let go of things, people, places and lifestyles with which we have previously identified so strongly that they and we were simply one and the same. The path into the Real is a challenging one and sometimes the effort required to walk it can be too much to muster! One thing we can be sure of when dealing with Saturn though: excuses won’t get us anywhere. There are no excuses when Saturn’s in charge. There is simply do or don’t do and their consequences. 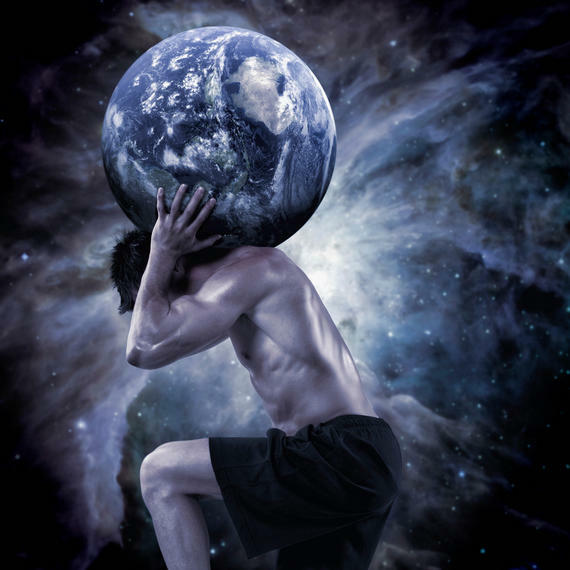 If we embrace the responsibilities on our path, be they commitments to others or to ourselves, to individuals or the planet, to the present or the future, Saturn will strengthen us, firming our back bone and placing iron in our soul. As we follow through on each moment of challenge we will gain more than we will ever lose and we will be communicating in no uncertain terms that we are ready for change, to embrace the freedom which comes from awakening AND the responsibilities which accompany it. Responsibilities to apply ourselves when it’s tough, to cultivate patience when we’d rather find a short cut, compassion when we’d rather judge and fortitude when we’d rather give up, give in and blame life for failing to shape up. This cosmic alliance tells us that attitude is everything this week and how we approach its ups and downs will be the arbiter of how it all pans out. Our reaction to such challenges reflects the strength of our commitment to waking up and letting go of all that holds us back. The more we resolve to sustain conscious effort on our spiritual path, to spot and then change the things we do which hold us back – those moments of spiritual laziness when we allow the mind to take us down familiar paths of self-pity or blame, negativity, frustration or [add your own particular brand of unhelpful thought or behaviour!] – the better able we will be to stay focused and firm, not allowing the burdens of life to get us down but instead to recognise them as an integral part of the path, not an obstacle to it.